American golf course designer Matt Dye designed the championship-standard 18-hole Carrington Golf Course. It is 6417 metres (7267 yards) in length, par 72, and encompasses a variety of terrains from rolling vales to challenging water holes. 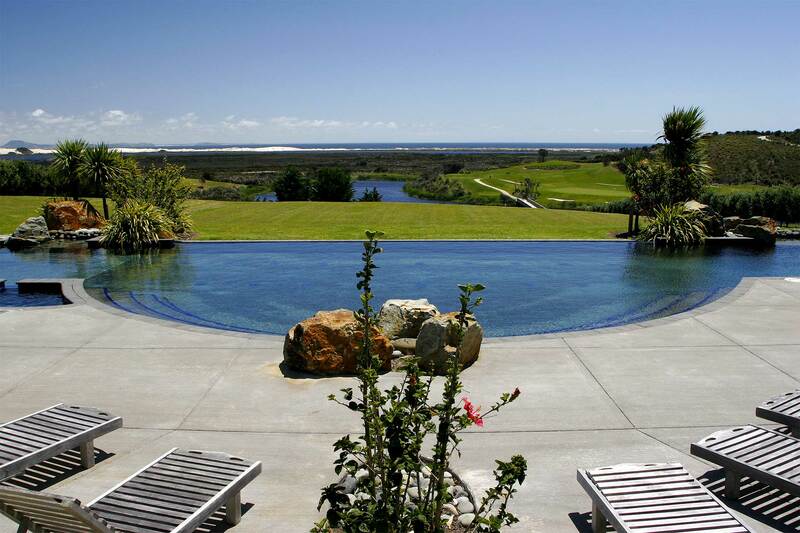 Spectacular views of the golf course, wetlands, Northland beach and ocean beyond are visible from the clubhouse and lounge complex. The clubhouse is on a high ridge in the middle of the golf course in order to take full advantage of the unique combination of vistas. Tuesday 23rd April to Saturday 27th April 2019 golf course closed for coring. Course will open again 27th April in the morning. From Saturday 27th April to Monday 13th May green fees will be half price. Experience classic design and timeless charm at Carrington Estate. Comfortable and beautifully appointed, spacious Lodge Rooms, Three Bedroom Villas and Luxury Houses feature views of the golf course, vineyards and the Pacific Ocean. You will want to stay forever at Carrington. If you share a passion for fresh seasonal ingredients sourced locally, you'll find nature to plate' experience at Carrington Restaurant a real treat. Menus focus on food grown on and around the property, creatively showcasing the abundance of fine produce available in New Zealand's Northland. Go beyond the boardroom for your next conference. Whether entertaining clients or bringing key staff together, you deserve a venue that does your business justice. With luxury accommodation, fine dining, an onsite vineyard and 18-hole championship golf course, Carrington estate is more than a conference venue; it's a conference destination. Come and play one of New Zealand's most spectacular golf courses! Get in touch for booking details.